Track Akron Children's Hospital Ads! Sign up to track nationally aired TV ad campaigns for Akron Children's Hospital. Competition for Akron Children's Hospital includes St. Jude Children's Research Hospital, Cancer Treatment Centers of America, Baylor Scott & White Health, Shriners Hospitals for Children, Seattle Children's Hospital and the other brands in the Pharmaceutical & Medical: Hospitals & Clinics industry. You can connect with Akron Children's Hospital on Facebook, Twitter, YouTube and Pinterest or by phone at 1-866-228-4673. 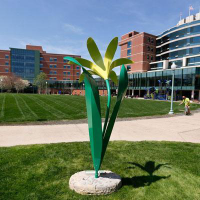 We have seen no national TV commercial airings from Akron Children's Hospital.